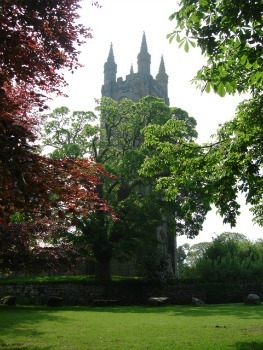 Widecombe in the Moor is the most famous village in Dartmoor with its annual fair attracting visitors from around the world. The song “Old Uncle Tom Cobleigh and all” comes from here. It’s beautiful church is also know as the ‘Cathedral in the Moor’. The village was built by tin miners and was once quite remote. 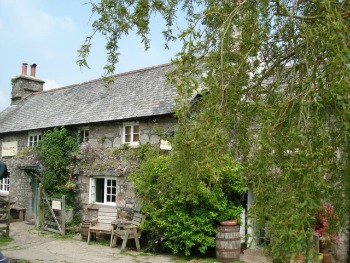 You can easily get here by car from the Haytor road and there is a surprising amount of parking for such a small village. It can get extremely busy in the high season so try to visit here in the spring or autumn. When I visited I came from Haytor Vale and passed through beautiful Buckland-in-the-Moor for a little ‘cottage spotting’ beforehand. 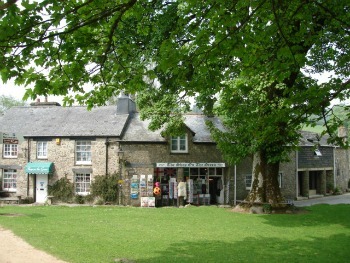 The village has several shops the National Trust has a very good bookshop with books specialising in country life, make sure you go upstairs too. 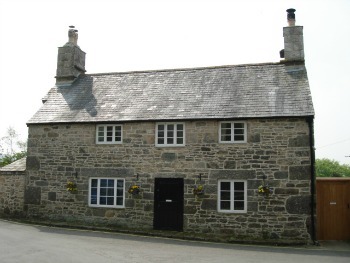 The shop is in Widecombe Church House which used to be a sixteenth century brew house and later became the village school. 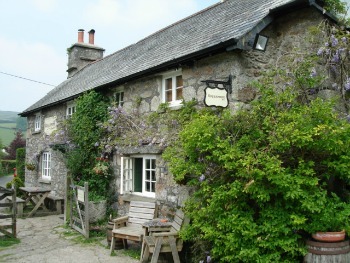 There are several teashops to enjoy a cup of tea in Widecombe they are mainly in the centre of the village. On a pleasant day it is quite lovely to have a stroll around and do a little shopping. If you fancy a tipple there are several options, and if your feeling brave you can even visit a haunted pub. This is the place where ‘Old Uncle Tom Cobleigh and all’ had a few beverages on their way to the fair. It was built in the fourteenth century and is easy to find, right across from the church. Apparently there was a crying child and a man who walks through the wall upstairs and another called Old Harry. 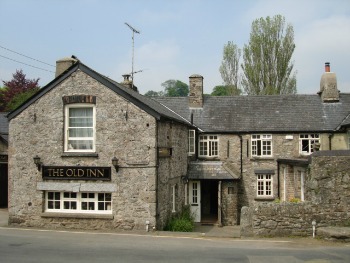 The Inn had to be restored after a fire in 1977 ruined part of it, it was the area that was haunted and they have not been seen or heard of since. Pop in for a pint and get the story from the staff if you have time. If you walk down the hill by the south side of St Pancras Church it will take you to The Rugglestone Inn for a spot of lunch. The Rugglestone Inn has a beer garden which is lovely on a sunny day. The menu is inside the pub in the hall written on a chalk board, you can order food at the bar then they will bring it outside for you. Dogs will need to be on a leash as the ducks roam around the garden too. I spent a delightful few hours here. Widecombe in the Moor has its annual fair on the second Tuesday of September. If you plan of visiting make sure you get here early!